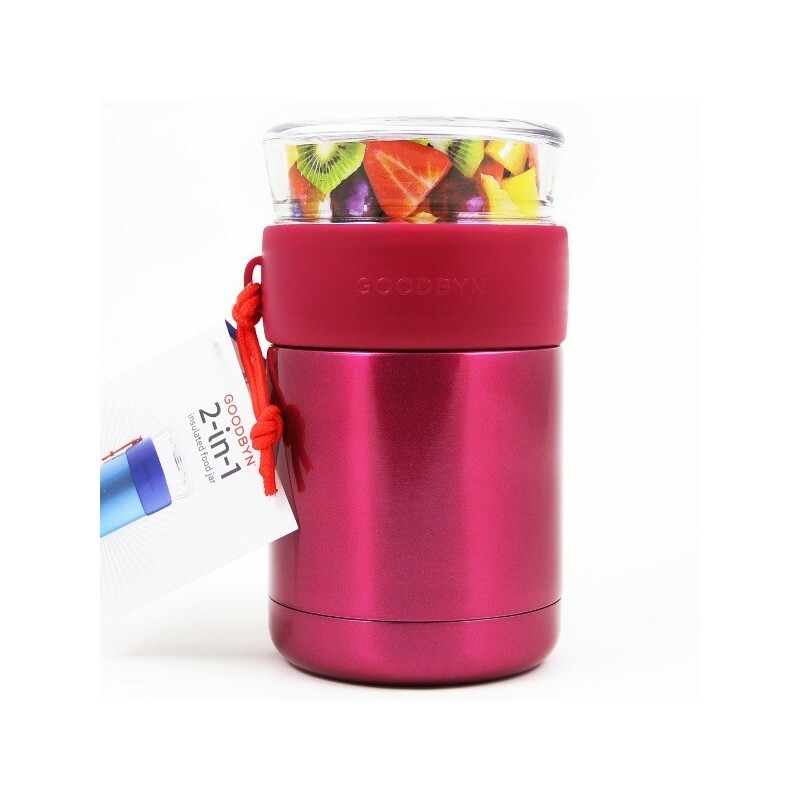 A metallic pink, two-in-one insulated food jar with glass compartment. Keep food hot for seven hours or cold for nine, and store condiments or a small side in the glass top. 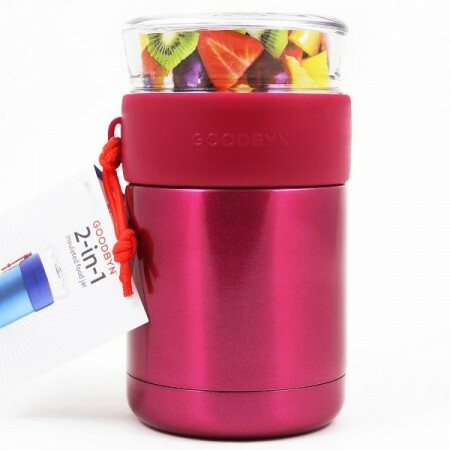 Made from food grade stainless steel, glass and BPA free plastic and is fully recyclable at end-of-life. Wide opening for easy washing and use. 470ml insulated, and 235ml glass containers. Pink colour. 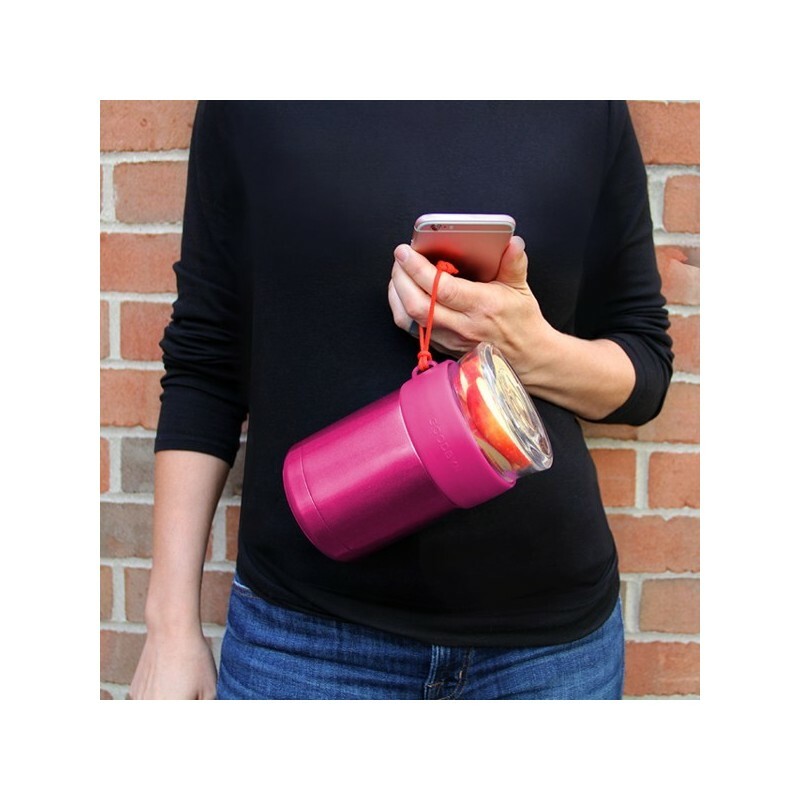 Made from fully recyclable materials - so it shouldn't end up as landfill. Helps you save money, time and food packaging waste. No toxins or heavy metals used in manufacturing the plastic. Made of #5 PP (polypropylene) - one of the most benign plastics on the market. 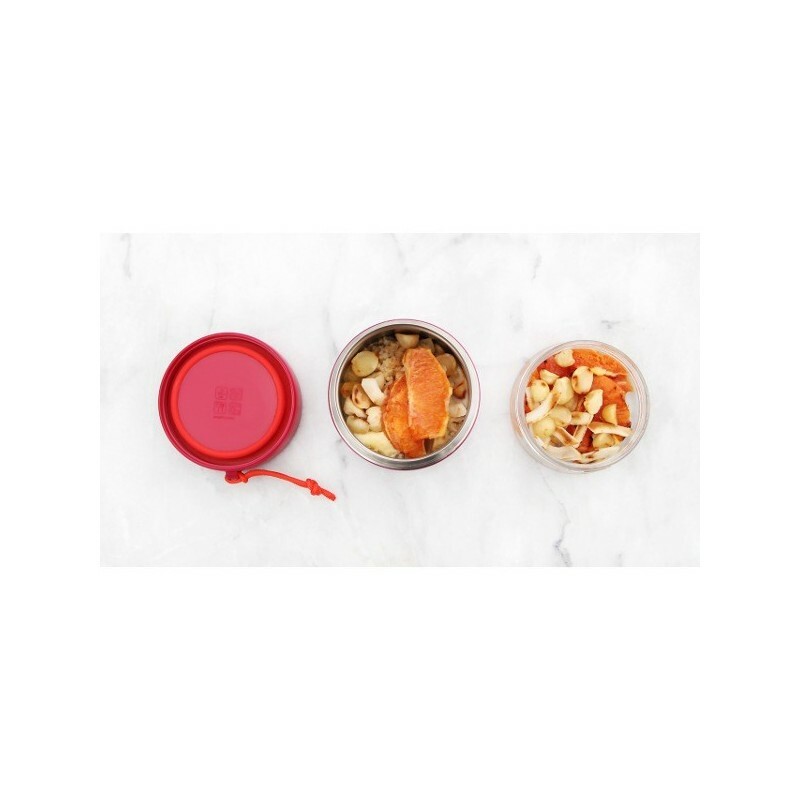 Food grade stainless steel insulated compartment. Glass compartment for sides or snacks. Wide mouth for easy use and cleaning. Polypropylene plastic (#5 PP), Stainless steel (#40 FE) and Glass (#71 GLE). 235ml capacity side container. 470ml capacity main container. 17cm high x 9.5cm diameter. 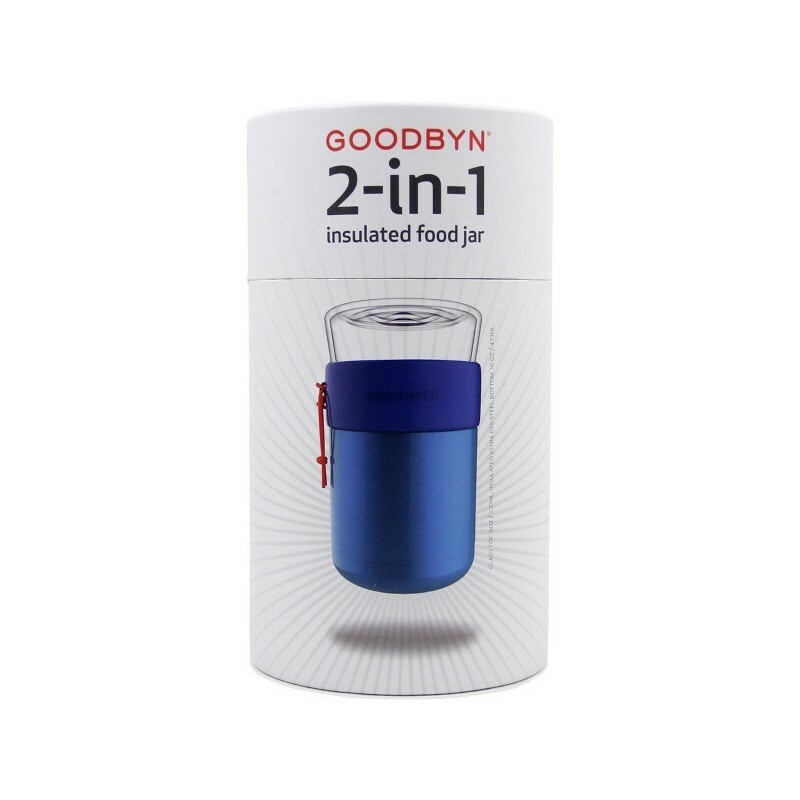 Browse our other Goodbyn products.